I realize we've only had a small handful of pizza experiments...but I think this one may be a favorite, a winner, winner - pizza dinner! 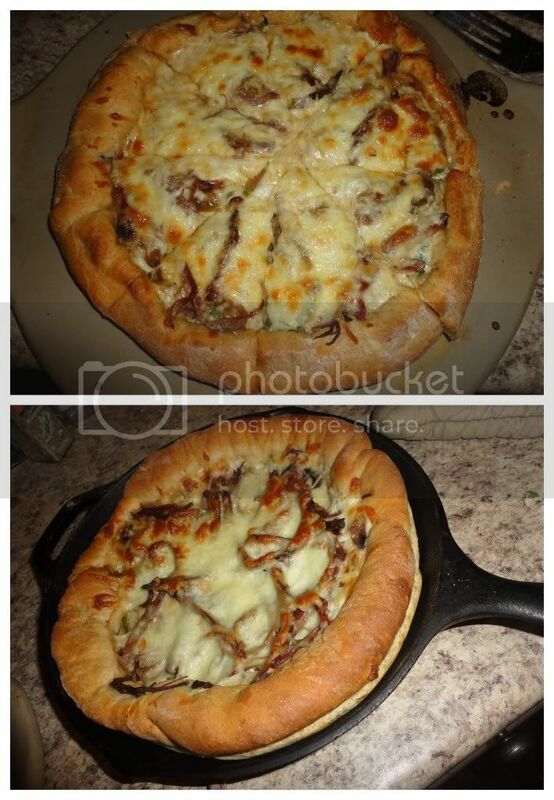 With French Dips and Philly Cheesesteak Sandwiches serving as my inspiration, we enjoyed these pizzas which we're perfect in every way! The recipe for the roast beef is known as the Best Beef Dips Ever, and they are, and they are easy. One roast, 1 cup of Soy Sauce, 6 cups of Water, Garlic, Rosemary, a Slow-Cooker and 8-10 hours on low. I recommend preparing the roast a day or two before preparing the pizza, just for the flavors to gain intensity. 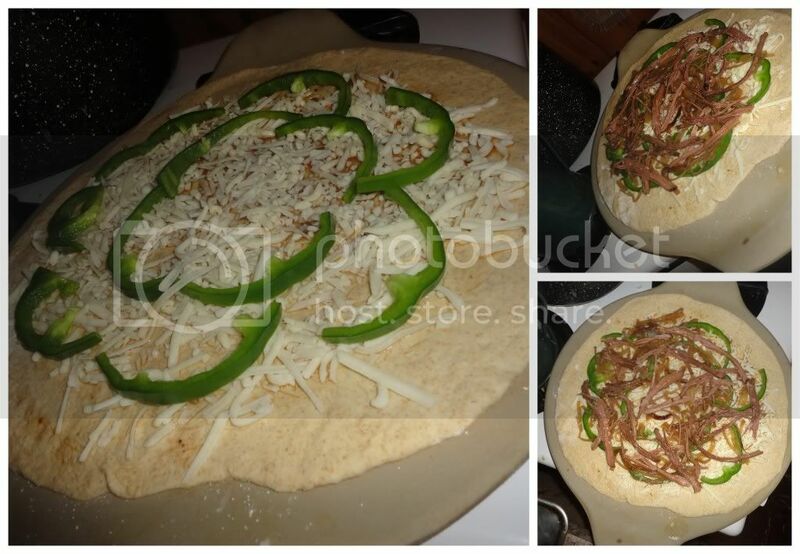 Best Beef Dip Roast Beef, Green Pepper, Caramelized Onions, Mushrooms and Monteray Jack Cheese. When the pizza's finished, serve with a small bowl of Au Jus for dipping.